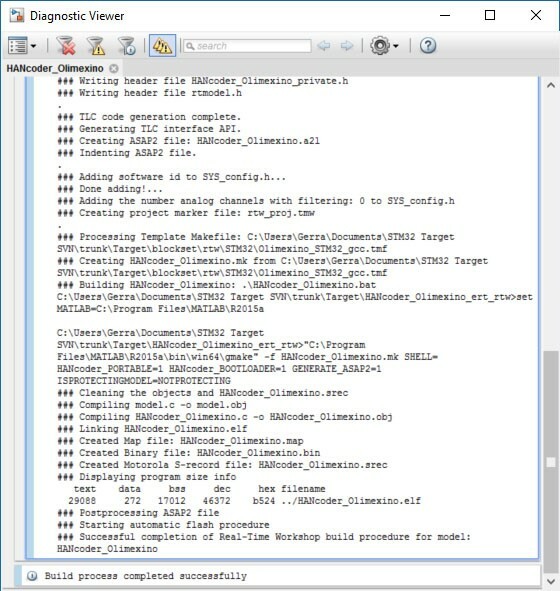 To generate C code from the Simulink model simply press CLTR-B on the keyboard when the model is opened or click the incremental built button in the Simulink toolbar. The model will ‘grey’ out during the build procedure. Once the model indicates ready in the lower left corner, the software program is built and flashing will start automatically (if Auto Flash is on). Check the next step for flashing over USB.